Health is a real wealth, we should take care of it at any cost. Nowadays people suffer from a lot of health problems like digestive problems, ulcerative colitis, Crohn’s disease etc due to change in eating habits and lifestyle. Here we will discuss about terminal ileitis which is type of Crohn’s disease. It is the inflammatory condition of intestine which may involve more than one part of intestine. There are various herbs which help to treat the terminal ileitis such as bilwa, giloy, kutaj, vasaka etc. Terminal ileitis is a type of Crohn’s disease. It is chronic inflammation of ileum. Ileitis is combination of two words – Ileum i.e. Latin word, meaning is intestine and the Greek word Itis meaning is inflammation. 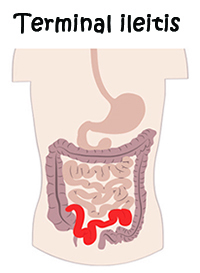 Collectively it is intestine inflammation which is a rare condition, marked by chronic inflammation of the 'ileum' --- the longest, narrowest and lowest (last/terminal) portion of the small intestine. This condition may involve more than one part of intestine including colon which is the main portion of intestine. Both men and women are equally at risk of developing this problem. This problem is mainly caused by the Lawsonia intracellularis bacterium. 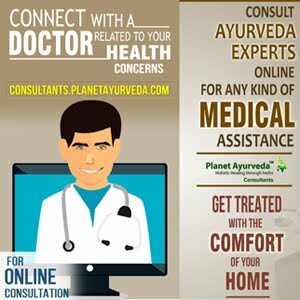 As per Ayurveda, the digestive disorders are mainly due to vata and pitta imbalance. According to Ayurveda, ileitis occur when vata dosha pushes pitta into the colon causing inflammation. Diet and stress are also responsible for ileitis. When stimulation of Prana increases then stress is high and it develops the signs of Crohn’s disease. At initial stage the symptoms can be- digestive upsets such as gas and constipation, patient may have mild systemic dryness and feeling of weakness. It can be treated with the help of Ayurveda. Ayurveda mainly focus on the balance of all three doshas in the body and manage the disease condition using herbs. It involves the treatment that helps to improve the overall digestive system. Ayurvedic treatment involves different steps to cure the terminal Ileitis such as stimulation of appetite (Agni deepana), herbs that help to digest the toxins/Ama (Digestive), to heal the ulcers (vrana ropana) etc. This treatment helps to restore the functions of digestive system. As the treatment is chiefly aimed to treat the disease from root level and relieve the symptoms. 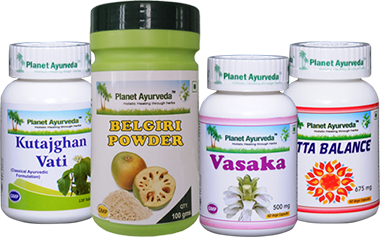 Planet Ayurveda offers 100% natural and pure herbal formulations that can manage the disease condition very well without causing any side effects. They offer following combination of medicines to treat the terminal ileitis. These are herbal tablets which are prepared from the herb Kutaja (Holarrhena antidysenterica). This herb is very effective to treat diarrhea in Ileitis. Apart from these it also helps to remove the toxins (ama) from the body. This herb helps to balance the vata and pitta dosha. It removes toxins from the body and provide relief from painful condition of colitis and smoothens bowel movement. Its tannin content has ability to overcome severe inflammation and heals the ulcers. It helps in various disorders like IBD, IBS and Bowel movement, terminal ileitis. Dosage – 1 tsp twice daily after meals. Praval pisti (Coral calcium)-It is found at sea bed and it is rich source of calcium and It helps in balancing pitta dosha and provides calcium to body. Akik pisti (Agate calcium)-It helps to balancing vata and pitta doshas and effective against vata and pitta doshas related problems. Jawar mohar pisti (calcium compound)-It is the natural source of calcium. Kamdhudha rasa (calcium compound) - It keeps the system healthy by balancing pitta dosha. Mukta pisti (Pearl calcium) - It helps to balance the pitta vitiated disorders. Giloy (Tinospora cordifola)-It helps to balance all three doshas of body and maintain the overall health. It also helps to enhance immune system of body therefore it provides complete health. These are herbal capsule obtained from the standardized extract of Adhathoda vasica. This herb helps to balance the kapha and pitta dosha. it helps to get relief from diarrhea. Dosage – 1-2 capsule twice daily after meals. Along with herbal medicines, one should maintain a healthy lifestyle. It is very important that what we should eat. To keep yourself fit, one should follow the healthy lifestyle, practice daily exercise and healthy diet. Avoid eating junk food, spicy food. It is duty of every person that we should encourage the others to be fit and healthy by promoting disciplined lifestyle and healthy food habit.